One of the most important aspects of any small business is marketing. 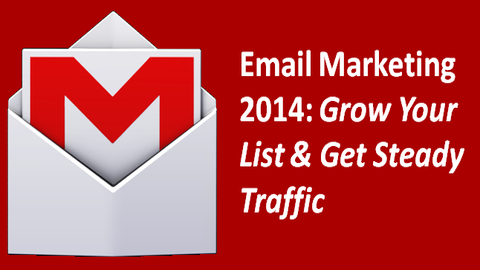 In this day and age, email marketing is one of the most important marketing methods. Your small business should take advantage of this marketing tactic. It is a great way to boost interaction and lead to sales! Here are a few of our favorite apps that will help you get started on your email marketing campaign. You need to be able to stay in contact with your clients while maintaining professionalism. You can’t send business updates through your personal email! GorillaContact is here to help you make that smooth transition in to email professionalism. 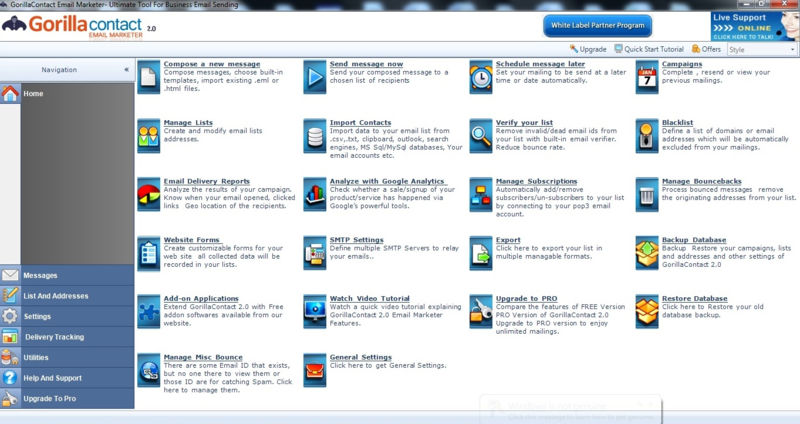 GorillaContact White Label Email Marketing Software gives you email software that’s branded in your own company’s name without any setup fees or programming. Just sign up for GorillaContact and you’ll be able to start selling and billing customers directly while paying commissions to GorillaContact. Best of all, all technical support is handled by GorillaContact! 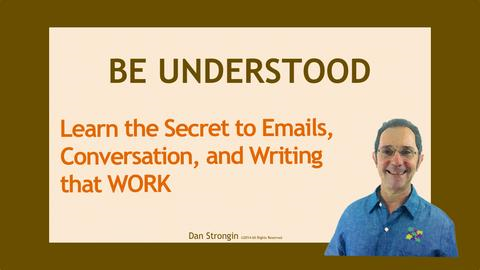 BE UNDERSTOOD, Learn the Secrets of Email, Writing and Communication that Work! Now that you have to software you need to start sending email marketing campaigns to your customers, you need to figure out how to craft the perfect email. That’s where BE UNDERSTOOD steps in. BE UNDERSTOOD, Learn the Secrets of Email, Writing and Communication that Work! is a collection of communications courses and lectures that will improve your ability to convey information to others. With BE UNDERSTOOD, you’ll be able to listen, respond, speak, and write emails more effectively than ever before. Read more about BE UNDERSTOOD, Learn the Secrets of Email, Writing and Communication that Work! When you want to implement a successful email marketing strategy the most important aspect is the way you organize your contacts. Atomic List Manager can help you add, categorize, and separate emails into appropriate lists of your clients. Atomic List Manager eliminates duplicates and suspicious email addresses, leaving you with a clean list of addresses tailored to suit your specific needs. With "mix and match" filtering, Atomic List Manager can manage addresses with other complex information linked to it like age, gender, occupation, or honorific. Your lists can be as broad or specific as the available information will allow. 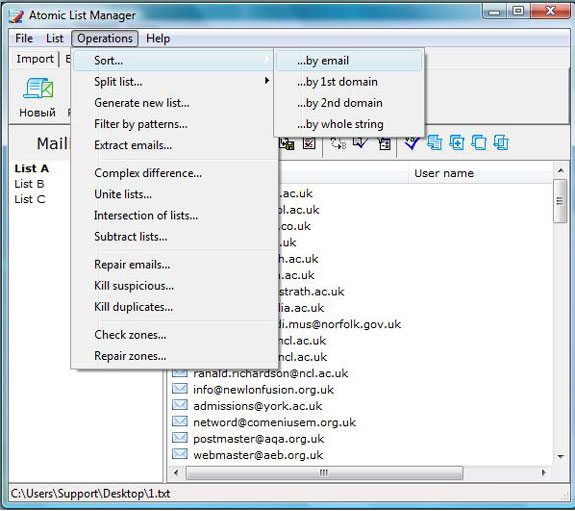 You can generate new lists, and even new addresses with Atomic List Manager's "repair email" option.